The Andrew Goodman Foundation works to grow new leaders of change. The organization is rooted in Andrew Goodman's powerful legacy; Goodman and two other civil rights workers were murdered when working to register African Americans to vote in 1964. The story of these three men helped spur the passage of the Voting Rights Act of 1965, and their legacy lives on today. It was an honor to be asked to play a role in advancing that legacy by designing and building a new site to tell Andy and the Foundation's story. 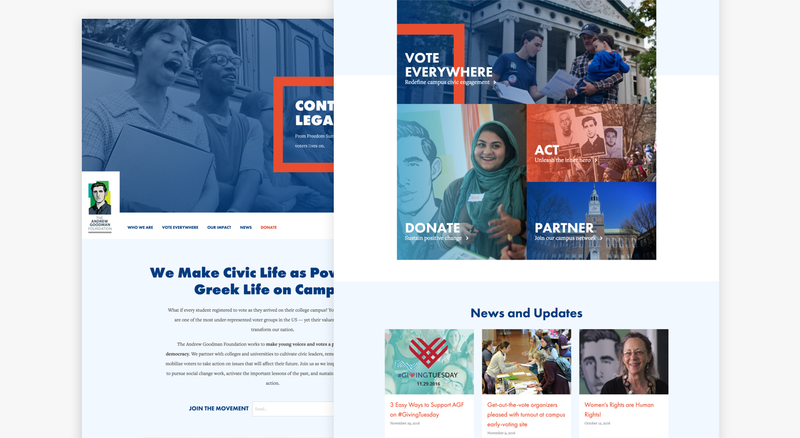 The new site aims to both bring that story to life and connect it to the organization's work today, spreading a culture of participatory democracy to young people and college campuses across the country. Aimed at inspiring college students to get involved, it was important that the site had an inspiring ad positive design. We leveraged bright colors and engaging images to help the site lift visitors up and put a face on the Foundation's work. Images were not just used in feature areas but also as backgrounds to images and other sections to really create an immersive experience as a visitor navigates the site. 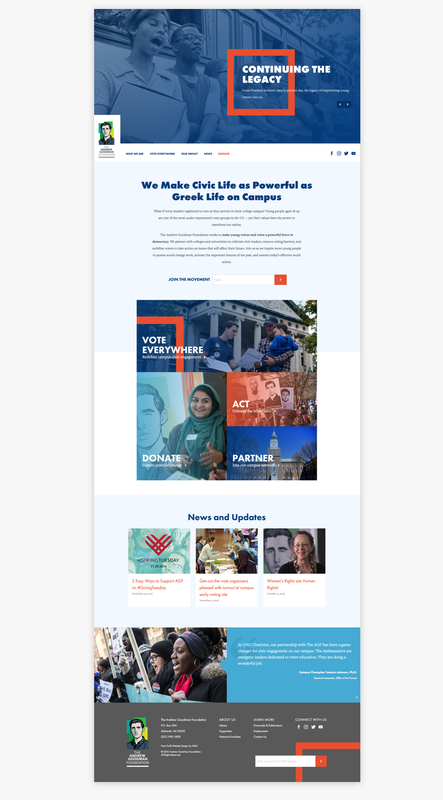 Elements like an interactive timeline, Vote Everywhere progress tracker, Impact Stories, and others help bring the site to life and push visitors to explore the content and interact with the site on a deeper level. A prominent Action Center also gives visitors quick access to the tools that will allow them to become more engaged with the Foundation. The site was built on WordPress and structured in a way that makes it intuitive for editors to manage all of the content, create new pages, and even build their own templates. 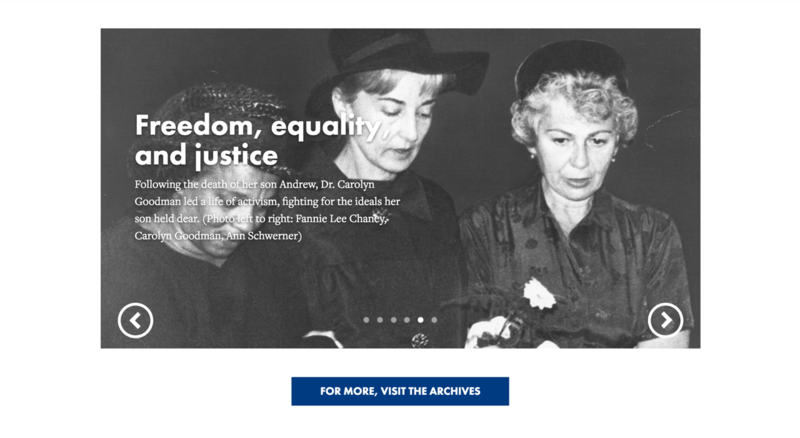 It was an honor to partner with the Andrew Goodman Foundation and help them bring his legacy online and advance their work across the country. You can also check out some of our work with other non-profit websites.